During the 1840's, a number of proposals were put forward to link Bridport by railway to a main line. 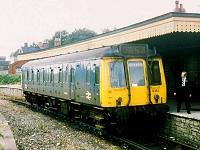 The Wiltshire, Somerset and Weymouth Railway was to run between Chippenham and Weymouth, linking various towns along the way, including Bridport. The Bristol and English Channel Railway was to link Stolford, near Bridgwater to Bridport. Another proposal was to run from Watchet to Bridport and finally, a line to run from Maiden Newton through Bridport, Seaton, Honiton and on to Exeter. However, all of these ideas were abandoned. Following a public meeting at Bridport Town Hall in October 1854, it was decided to build a railway branch line to link the town to the main line at Maiden Newton. The Bridport Railway Company was formed and the necessary Act of Parliament passed on 5th May 1855. Kenneth Mathieson was awarded the contract to build the 9¼ miles of 7 feet 0¼ inch broad gauge railway line at an estimated cost of £65,000 and with a predicted completion date of Autumn 1856. However, due to the under-estimated earthworks involved, particularly north-east of Powerstock, the completion would be delayed by a further year. On 6th October 1857, Captain Tyler of the Board of Trade found a number of shortcomings in his inspection of the line and rectification would be required. The railway officially opened on 12th November 1857, the Board of Trade having authorised its use the previous day. The operating licence was awarded by the Bridport Railway Company to the Great Western Railway (GWR), who supplied the steam locomotives and rolling stock. Not everyone was enthusiastic about the arrival of the railway to Bridport. On Boxing Day in 1857, vandals placed iron rails across the track at Toller, while on 8th January 1858 a large boulder was placed on the line at Bridport. The only station between Maiden Newton and Bridport had been at Powerstock. However, in 1862 an additional station was added at Toller Porcorum. Also, as a railway gauge of 4 feet 8½ inches was being standardised across Britain, it was decided to modify the Bridport branch line to the new gauge during the period of 18th to 22nd June 1874. Although the broader gauge had produced a smoother and safer ride, it reduced access around tighter bends and the universal use of steam locomotives and rolling stock. Due to the success of the Bridport branch line, it was decided to extend it down to the coast at Bridport Harbour and on 21st July 1879 the necessary Act of Parliament was passed. 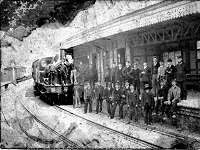 Messrs Mousley and Lovatt were chosen as the main contractors for the Bridport Railway Company and construction began in 1883. A new station was built at Bridport in East Street together with a terminus at Bridport Harbour. By this time the harbour status was in deep decline with the recent closure of the ship building yard. However, the Great Western Railway, the operating company for the branch line, had other visions. They named the new station 'West Bay' (presumably from the small bay further down the Chesil Beach towards Portland Isle), in an attempt to turn Bridport Harbour into a holiday destination. Some old 19th Century maps referred to the stretch of sea at Bridport Harbour as West Bay, so perhaps making the renaming of the area an obvious choice. The new branch line extension was opened on 31st March 1884. The new image for the area immediately caught on, with 'The Neptune' public house being renamed 'The West Bay Hotel' and Pier Terrace being built in 1886 as terraced holiday houses. Until this time, the Great Western Railway only had access to this coastal area at Weymouth. This was a great opportunity for GWR to consolidate their position, as the London and South Western Railway (L & SWR) had been the dominating force along the South Coast of England. 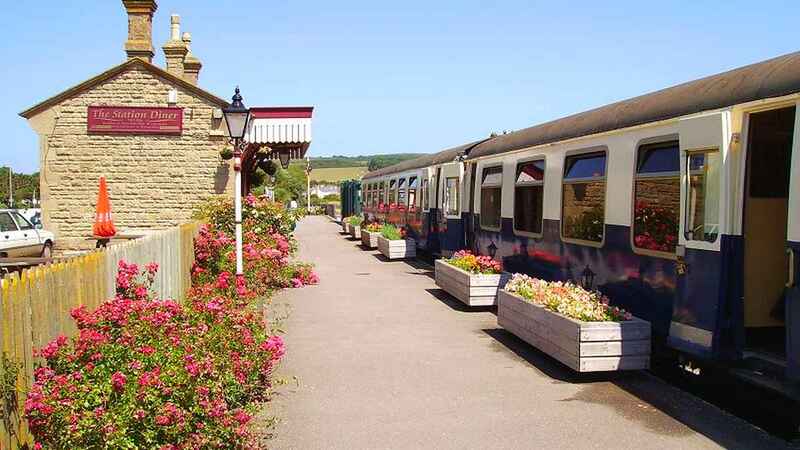 The opening passenger service of five trains each way from Monday to Saturday took about 35 minutes to cover the full 11¼ miles, due to the 40 mph overall speed restriction together with the 10 mph limit at Powerstock and West Bay. A special 'Bathing Train' was soon added to the timetable which left Bridport at 7am. Most of the independent railway operators had been bought out by the large operators by the end of the 19th Century. The Bridport Railway Company succumbed to the Great Western Railway on 1st July 1901, selling each of its £10 ordinary shares for £6. Although it received competition from the horse drawn carriage, then from buses, lorries and the motor car, the Bridport branch line survived. However, on 22nd September 1930, it was decided to close the Bridport to West Bay section for passenger services due to economic constraints, though it would remain open for goods traffic. On 3rd December 1962, the decision was taken to finally close the line between Bridport and West Bay for all railway traffic. On 25th August 1963, two Great Western steam locomotives hauled a special train from Bridport to West Bay. Two years later the track was lifted. The Bridport branch line was listed in the Dr Beeching report of 1963 as a recommendation for closure. 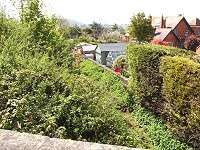 However, due to the narrow access roads around Bridport, the railway continued to operate. Eventually this last remaining branch line in Dorset also became uneconomical and on 5th May 1975 it too had to close, exactly 120 years to the day after the passing of the Bridport Railway Act. The remaining track started to be lifted on 18th November 1975. West Bay Station still exists today, renovated and recently operating as a Diner. Two railway carriages also sat on a short length of track alongside the platform, in use as a restaurant. Unfortunately, the project failed and the carriages have since been removed. The station location at East Street in Bridport, built for the West Bay extension, has since been replaced by a car showroom. Parts of the old station have been used in the construction of the railway station at Pecorama in Beer, Devon, including roofing slates and platform kerbing slabs. 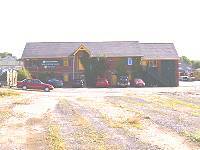 The original Bridport Station location, renamed Bradpole Road Station when the West Bay extension was added, is now occupied by a supermarket. The old goods sidings and building at Bradpole were, until recently, utilised by a large builders' merchants. However in 2009, the old goods shed building was demolished to make way for another Bridport supermarket. Powerstock Station is now in use as a residential dwelling. Toller Station was dismantled and moved to Totnes, where it is now used as South Devon Railway's Littlehempstead Station. Part of the old railway bed between Bridport and West Bay now lies under the A35 Bridport By-Pass (Sea Road South), while the West Bay section between Burton Road and the station itself is a gravelled footpath. Although this footpath now rises to meet Burton Road, the original level of the railway crossed beneath the road at Wanderwell Bridge. The top of the bridge, bore entrance and track bed can still be identified. On its way towards East Street Station, the railway would have passed through Wanderwell and then east of the junction with Burton Road and West Bay Road. Sea Road North has replaced the track bed between East Street Station and Bradpole Road Station. There are plans to open up the old railway bed between Bridport and Maiden Newton, to be resurfaced and used for public access as a 10 mile footpath and cycle track. Several landowners and the Dorset Wildlife Trust have agreed to lease, sell or allow access to the land. Bridport's rope making capabilities were used to maximum effect during both World War I and World War II. Hemp lanyards, hay nets (for army horses), rifle pull-throughs, tent, balloon and airship ropes, camouflage nets and twine for stitching canvas were all manufactured at Bridport and dispatched by the railway. Large steel wire anti-submarine nets, some measuring up to 300 feet by 180 feet were also manufactured at Bridport and sent out by rail. The West Bay railway extension line was closed to all passenger traffic on 31st December 1915, due to the war hostilities and re-opened on 7th July 1919. As in WWI, train loads of ropes and netting were manufactured and transported for military use. Shingle was drawn off East Beach at West Bay and transported by railway across the country for the construction of military airfields. Also, sidings were opened at Bradpole and Loders to stable railway wagon-mounted howitzers. It has been reported that the arrival of the Bridport Railway was responsible for a village name change of Poorstock to Powerstock. It is more likely that the railway was responsible for consolidating the name change. Poorstock and Porestock had been used as names for the village, but there is evidence of Powerstock and Powerstoke also having been used before the arrival of the railway. Although location maps appeared to accept the name change during the second half of the 19th Century, Dorset Council did not, with early 20th Century census reports still referring to 'Poorstock'. Also, Council Rate demands were being sent out to the residents of 'Poorstock' until the 1950s. Interestingly, the station was located nearer to the village of Nettlecombe than Powerstock.